A truck driver slams on the brakes. His truck trailer skids, swinging around at a 90-degree angle to the truck’s cab. The driver loses control of the truck, and the trailer moves across multiple lanes of traffic. The out-of-control trailer may hit smaller cars as it slides across lanes of travel. Other drivers may not have time to react or avoid a collision with the trailer blocking the roadway. Accidents like these can cause major damage. If you have suffered a serious injury in a jackknife truck accident, the veteran truck accident lawyers at Munley Law are here to help. Our team has built a national reputation for our success in handling truck accident cases. In 2015, Munley Law partners Marion and Daniel Munley achieved the second-largest settlement in Pennsylvania on behalf of one of their truck accident clients. Marion Munley currently serves as Vice Chair of the American Association for Justice Trucking Litigation Group, and Daniel Munley previously served as its president. Our experience, our results, and our dedication to this unique area of practice is what sets our firm apart. Fill out our email form, chat live, or call (855) 866-5529 for a free consultation. No fee unless we win. Other factors that can increase the chances of jackknifing include truck length and cargo weight. A jackknife truck accident lawyer at Munley Law familiar with CDL laws and regulations will closely evaluate all factors that may have played a role in your accident. 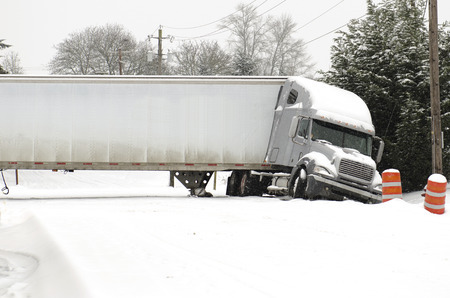 Jackknife accidents often cause chain-reaction collisions involving many vehicles – and multiple victims. The scene of the crash can be a mess to investigate. Victims of jackknife crashes need immediate legal counsel; waiting to call a lawyer can mean losing the chance to collect and save critical evidence, to document the accident scene as it is just after a crash, and to obtain witness statements while the accident is fresh in their minds. For more than 55 years, Munley Law’s truck accident lawyers have represented truck accident victims throughout Pennsylvania and across the United States. We understand the challenges – physical, emotional, and financial – the come with surviving a truck crash. Our mission is to hold the negligent party accountable and restore justice where harm has been done. For this reason, we do not collect a fee for our services unless we win your case. You will never have to pay us anything up front or out of pocket. Call today for a free case evaluation.